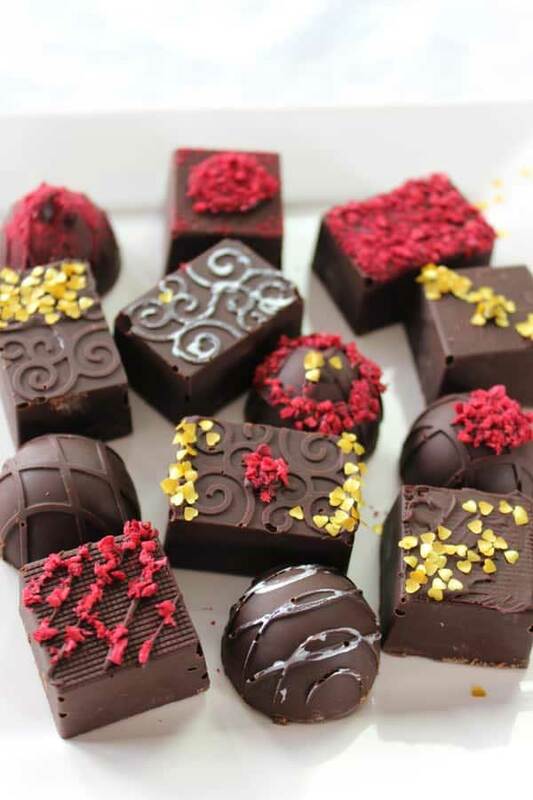 Chocolate Raspberry Truffles are the best sugar-free chocolates I have ever eaten! Filled with a creamy chocolate ganache and decorated with freeze-dried raspberries and edible gold hearts, they will steal the heart of your favorite Keto Valentine! It just isn’t Valentine’s Day without chocolate and this recipe makes it possible to have your chocolate and eat it too!